Gabriel Loren the Salon was established in 2014, in the heart of Riverhead. We are located a quarter of a mile from the Long Island Aquarium and the Hyatt Hotel, just off of main street. 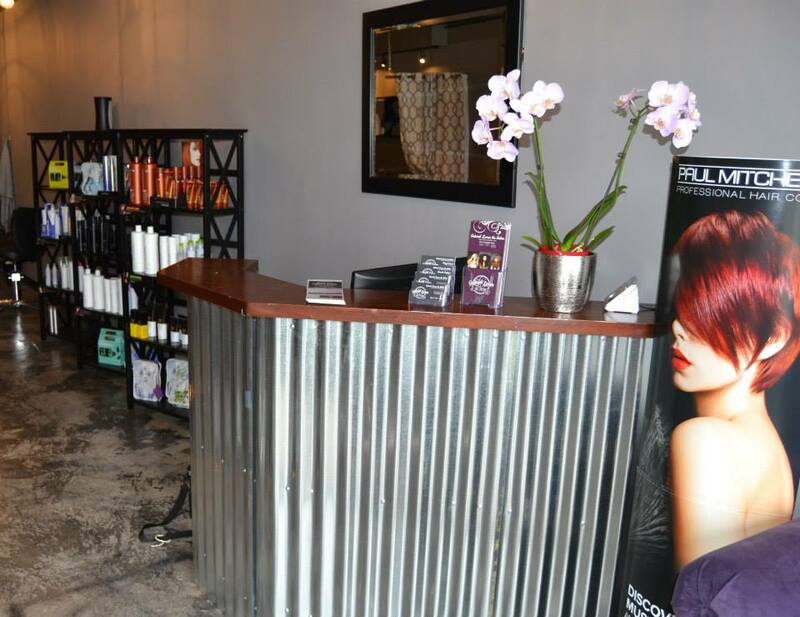 Our facility has our own parking space, 7 personal styling stations, 4 shampoo stations with in bowl headrests, a personal manicuring room equipped with massaging pedicure chair, and a waxing room. We are a Paul Mitchell Focus Salon. What does this mean to you? It means we provide to you only the best that Paul Mitchell Professional has to offer. We partnered with John Paul Mitchell Systems because they are a company that creates top of the line professional color and styling products. Paul Mitchell is also a company that uses some of the safest ingredients on the market. In 1980 when Paul Mitchell and John Paul DeJoria started Paul Mitchell with only $700, they committed to being the first professional hair care company to NEVER test on animals! One of the reasons we admire JPMS most, is their philantrophy. They believe that success unshared is failure, and give back to organizations like Baby2Baby, Bright Pink, Eyes on Cancer, Grow Appalachia, Morris Animal Foundation, Prostate Cancer Research, Gary Sinise Foundation, Go Red, Habitat for Humanity, Children's Miracle Network, and so many more! We pride ourselves on staying current! We stay educated with both in and out of salon education opportunities for our staff to make sure we have the latest and greatest information to best serve you. We believe when you stop learning you stop growing, and in this ever changing industry, we commit to continue to grow! We have an extraordinary staff, each one committed to growing, always giving our best work to you, and working together as a team. We are always eager to grow but are committed to doing so slowly, to never lose the integrity of who we are.